I am, like many, so excited and delighted to see the Great British Bake Off back for another series … and this time on BBC1! 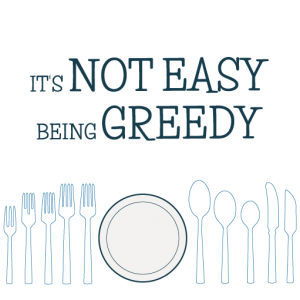 Poor Andrew detests the show – he just cannot understand why anyone would be interested in watching people bake – but he does like to sample any goodies I make, as long as they are not too sweet. You might remember that last year I set myself a GBBO challenge where I would bake one of the challenges from each of the show: they do a signature bake, a technical challenge, and a showstopper, and I allowed myself the choice of my favourite to bake each week. This year I am doing the same challenge, so watched the show with interest to see what goodies I would be able to make. I was relieved to see that BBC1 have not mucked around with the Bake Off format: Mel and Sue are still brimming with innuendo (loved the ‘Mary likes nuts in her mouth’ quote from the Extra Slice episode on Friday); Paul and Mary are exactly the same (Paul is stern, Mary is motherly); and the contestants (12 instead of last year’s bakers dozen) are still rushing around the same marquee (although that has apparently moved location), full of twee Emma Bridgewater and Cath Kidson decorations. The first episode was all about cake (yum), and the first signature challenge of the evening was to make a swiss roll. The only swiss roll I have ever made is one of Mary Berry’s creations: a chocolate roulade, which I used to make a Christmas yule log. It was rather delicious, and really not difficult to make at all (although I didn’t get the ‘tight roll’ beloved by Mary). I did come unstuck at the decorating stage: I made a chocolate ganache and was desperate to smother the cake with it so started doing so before it was at optimum thickness, and it all (of course) slid straight off. This resulted in me having to wait, allow the cakey ganache to cool, and spread it back on the cake, licking quite a lot of ganache off the palate knife in the process and making myself feel rather ill. Icing sugar (as we will re-discover later) hides a multitude of sins, and I was able to dredge the yule log in icing sugar ‘snow’ so all mistakes were hidden. 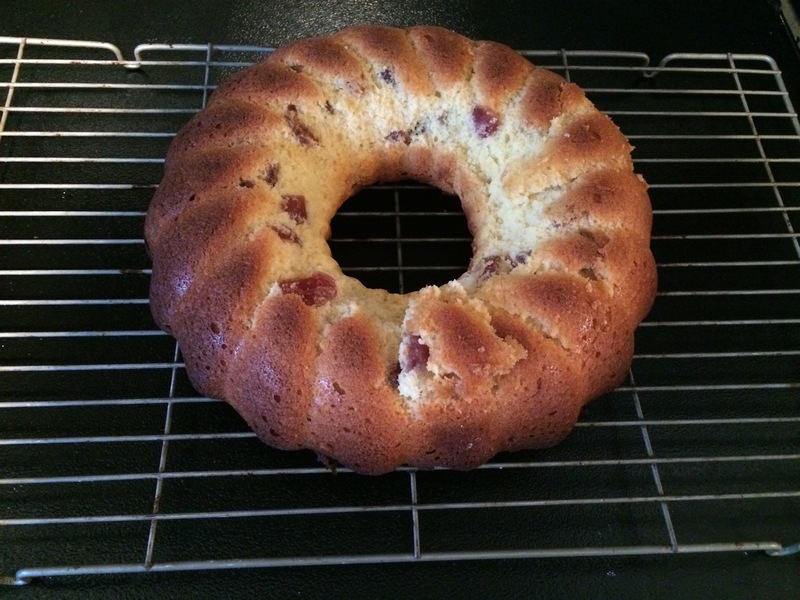 The second challenge was the technical bake – a simple cherry cake. 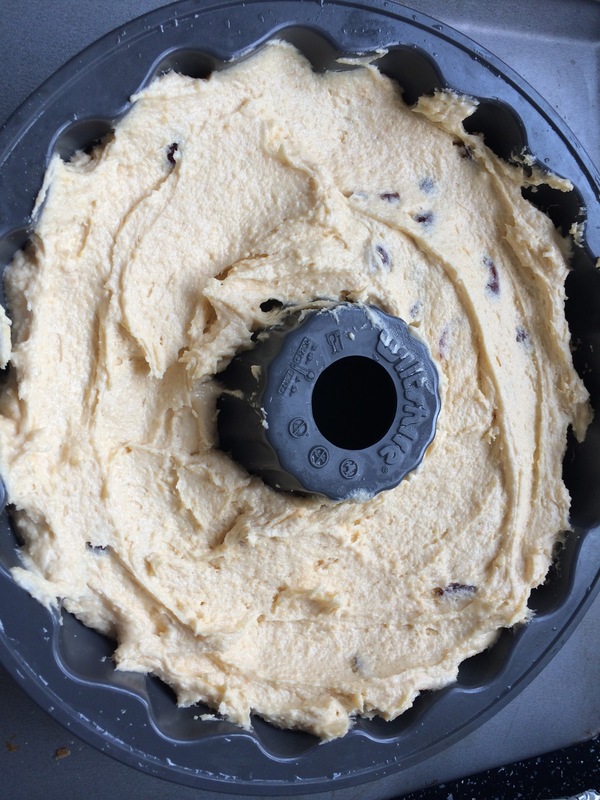 There were a few sticky moments for the bakers as it’s tricky to get the cherries equally suspended in the cake and not all sinking to the bottom. 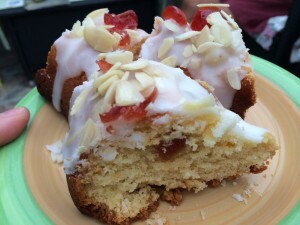 I know the trick to stop the sinking – to wash the cherries and dredge them with flour – thanks to my previous attempt at cherry (and coconut) cake which resulted in all the cherries sinking to the bottom (which later became the top) of the cake. The cake still tasted nice, but it did look rubbish. The third and final challenge of the night was the showstopper bake where each baker had to make 36 identical mini traditional British cakes, such as battenbergs and victoria sponges. The bakers made a fabulous effort, especially star baker Nancy for her chocolate orange mini sponges which looked amazing (thanks to a homemade guillotine to slice each one in an identical fashion), although some of the ‘mini’ towers were a bit dodgy. 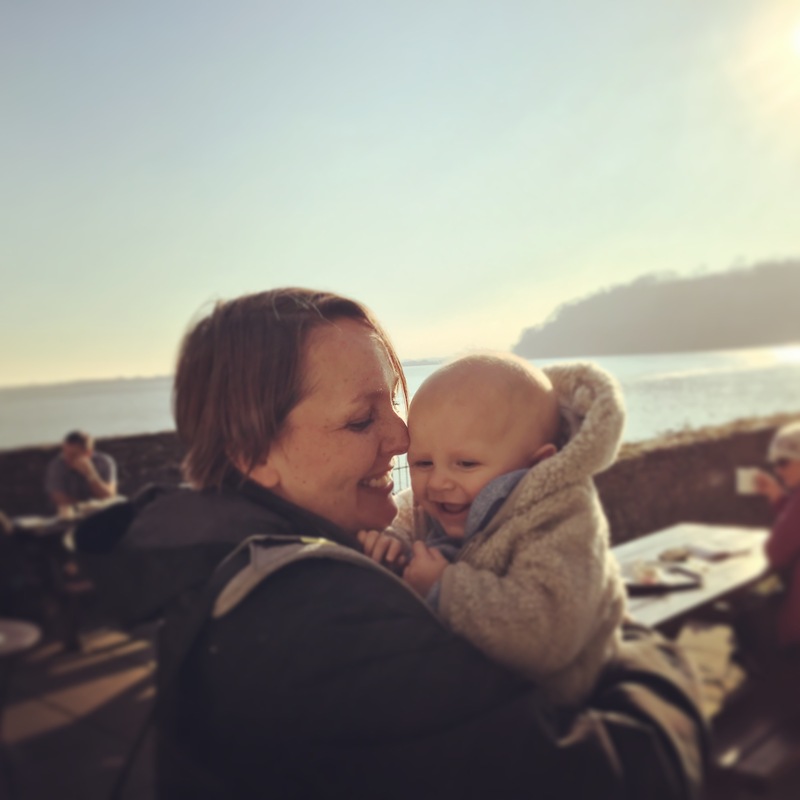 As I was travelling to Wales at the weekend for a family trip, I needed to make something relatively quick and easy to take across. So 36 mini cakes were out, and the swiss roll seemed like it would be a bit fiddly, so I decided to make the cherry cake challenge. 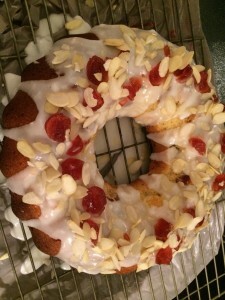 It was more attractive because I knew I had all the ingredients in the house, and a bundt tin which exactly matched the one on the show – it was clearly a sign that I had to make cherry cake! 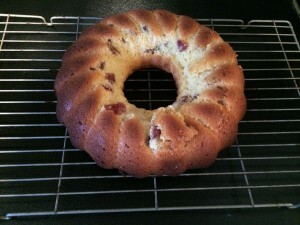 Mary’s recipe for the cherry cake is conveniently available from the BBC website, but I have shared below what I did. It’s a delicious cake (even if I do say so myself) and the ground almonds add a lovely texture to the cake – even though I was dubious as I didn’t fancy a cake which tasted of almonds. The lemon icing on top is gorgeous, and also … luckily … thick enough to hide any mistakes. I love cakes where you can just mix all of the ingredients together in a food mixer without having to bother with creaming the butter and sugar together, then adding the eggs and flour in dribs and drabs. Basically what you do is put the flour, butter, sugar, ground almonds, eggs and lemon zest in a food mixer and combine it well until you have a light and fluffy mixture (which tastes DELICIOUS). Then fold in the glace cherries (a whole tub from which you have reserved five for the decorating). But to ensure the cherries don’t sink you have to quarter them (what a faff – I am sure you could just halve them), wash them and dredge them in flour before adding them to the mixture. 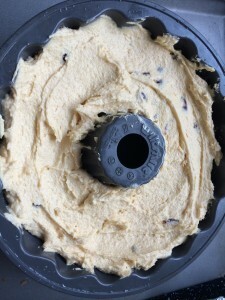 Put the mix into a bundt tin which has been lightly oiled or buttered, and stick it in the oven at 180 degrees for 35 to 45 minutes. My cake took around 40 minutes before it was cooked through, but by then it was quite dark on the outside, so next time I’d consider a lower temperature and a slightly longer cooking time. Basically, keep an eye on it. Turn it out on a rack to cool (doom: mine stuck to the silicon so I had to scoop out bits of cake to stick on top) and then you can ice it. Make the icing by mixing the sugar with the lemon juice (I probably had to add another 25g of icing sugar to make it thick enough for me to hide my mistakes), and spread it over the cake (top tip here: put a piece of newspaper underneath the cooling rack to catch any errant icing). Then sprinkle with flaked almonds (I read afterwards that I was supposed to toast them but didn’t and I don’t think it matters) and pieces of the reserved cherries (if you haven’t eaten them while waiting for the cake to cool … I may have eaten one or two!). 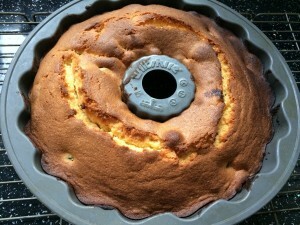 It really is a beautiful cake and would probably last a few days in an airtight tin. We’re about halfway through it here in Wales and after 4 days the cake is still moist. Next week is biscuits. Florentines are the technical challenge and I don’t like them so am not making them. Nor will I be making a showstopper 3D structure made out of biscuits (seriously – faff! ), so I guess I’ll be making a signature bake … haven’t decided what yet – I think I’ll have to take inspiration from the show. 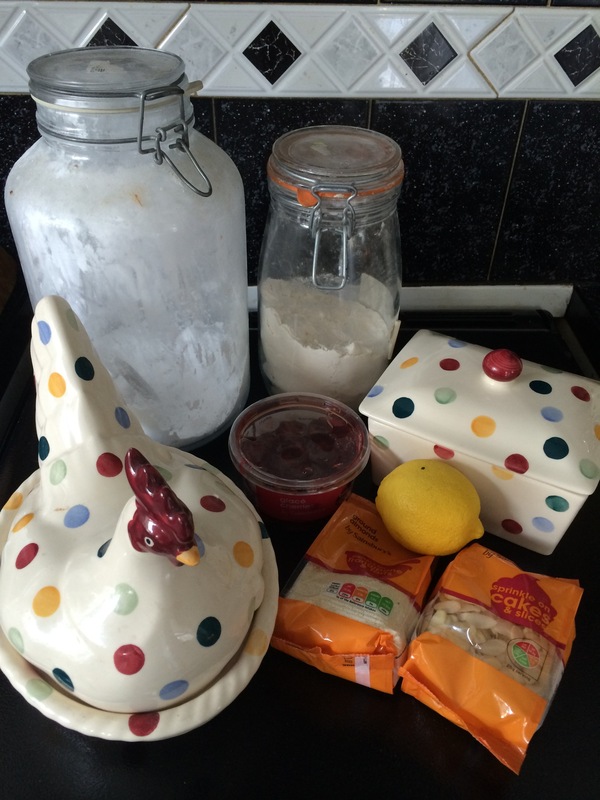 Are you doing a Great British Bake Off challenge? If so I’d love to hear about it, so let me know in the comments below.